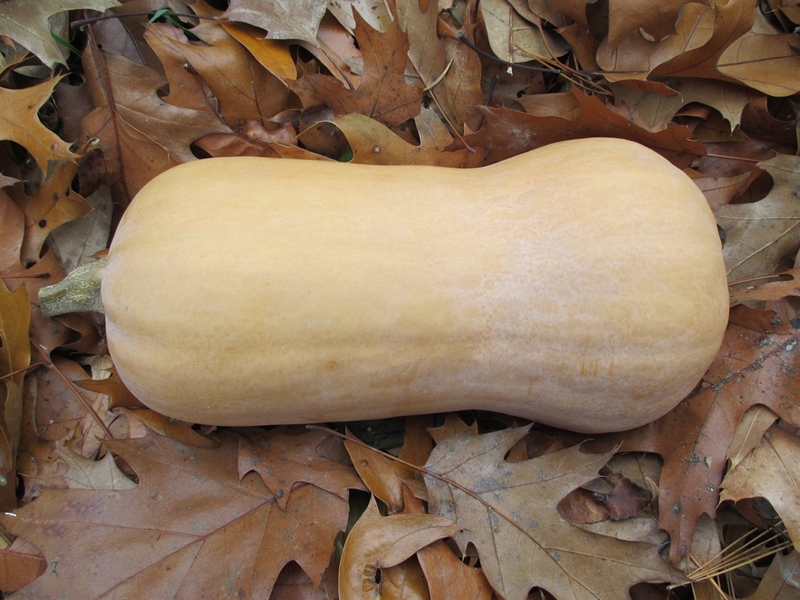 This strain of butternut squash was the result of years of selection and refinement by Bob Young of Waltham, Massachusetts. This is a very dependable and productive winter squash, adaptable to our region in Northern Indiana, producing even on marginal soils. 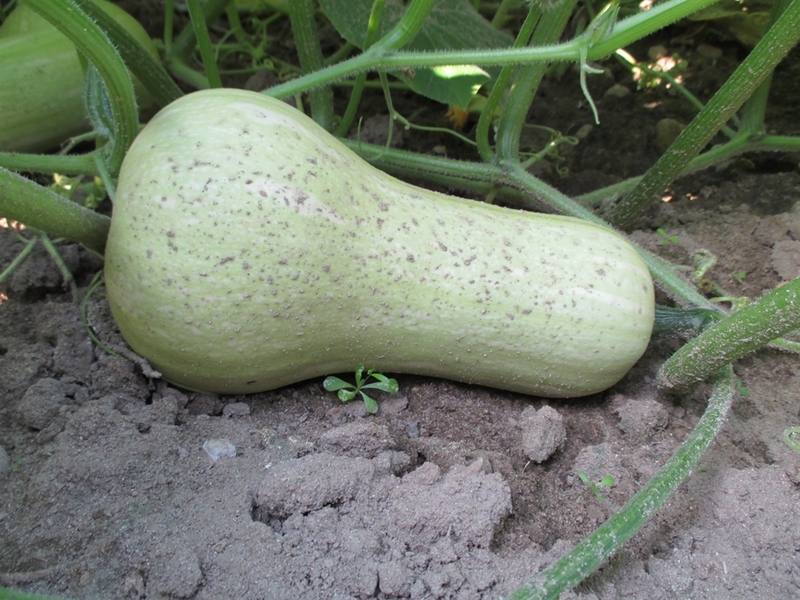 Its deep root system gives this squash the ability to grow with less water than most other winter squash varieties. 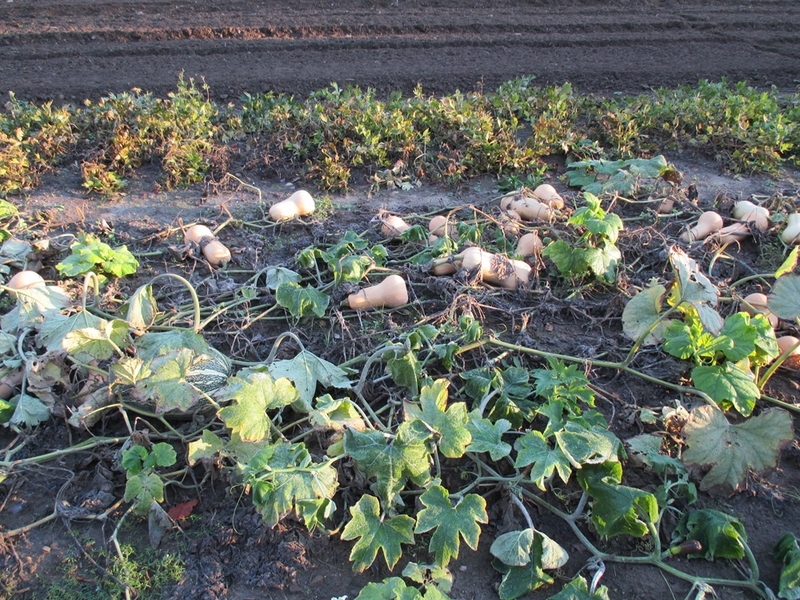 Waltham Butternut also has excellent resistance to squash vine borers, which can be a problem in our area. Highly prized for it’s fine textured, dry flesh with a deliciously sweet, rich flavor. One of the absolute best squash for long-term storage. This is a classic staple crop! Easy to grow and very nutritious (high in vitamin A). Another advantage is the size of the fruits. 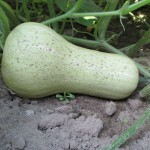 Some heirloom squash varieties produce enormous fruits which can be cumbersome to harvest, process, and store. Waltham Butternut fruits average 3-6 lbs., giving you the option to save space by growing vertically on a fence or trellis. Plant in the spring after all danger of frost has passed. Sow seeds 1″ deep in hills or rows, 4′-6′ apart.. I usually plant six seeds to a hill and thin to three plants. 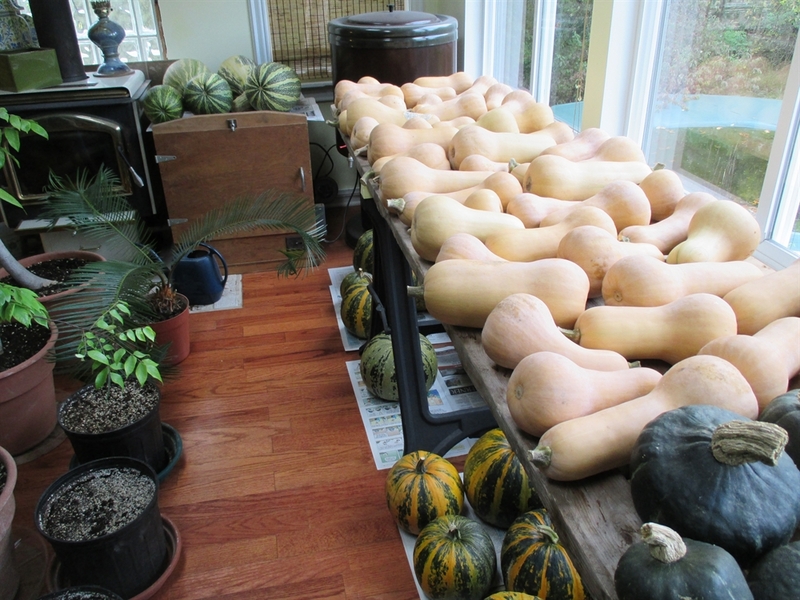 You can also start squash indoors 3 weeks before planting in your garden. 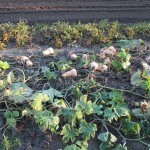 Harvest your squash when the vines die back or when frost threatens. I cut my winter squash free from the plant 2 weeks before the average first frost date (that’s around October 15th in Northern Indiana) and allow the fruits to cure in the field for two weeks before bringing indoors. Be sure to leave an inch of stem on the fruit otherwise they will quickly spoil. 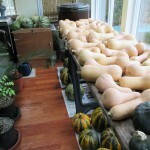 I finish curing the squash in a warm (70 – 80 degrees) area for 2 weeks before storing for winter. Seed Saving: There are four species of squash/pumpkins. Varieties within the same species will readily cross-pollinate. To save seed from varieties within the same species you need to isolate 1/8th mile for home use or 1/4 to 1 mile for pure seed. A good solution is to grow varieties from different species, eliminating the need for isolation. How long does the plants get? And how wide? They are not a bush variety. I have seed plants vine out 5′ – 10′ in all directions.